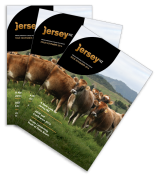 THEME: Jersey… A jewel in the crown. 3:00pm – Registration at the Scenic Circle Hotel, Dunedin. 6:30pm – Awards dinner at The Edgar Centre, conference opened by Mayor Dave Cull, entertainment TE RADAR. 9:00am – Keynote Speakers – Ron Pellow, National Manager Farms AgResearch and Lynda Coppersmith, Chief Executive New Zealand Young Farmers, Brian Wickham, interim Manager NZ Animal Evaluation Ltd .
12:00pm – Depart Hotel for the Taieri Gorge Railway excursion, lunch included. 9:00am – Annual General Meeting at the Scenic Circle Southern Cross. 6:30pm – Depart for Larnach Castle. Dinner & Dancing with entertainment – celebrate Dunedin’s heritage & come Scottish! Wear a piece or tartan – this could mean a tartan sash or handkerchief through to a full kilt.